It has been such a hectic month so far and does anyone need reminding that it's 5 weeks to Gift and Turkey frenzy (shriek + faint). 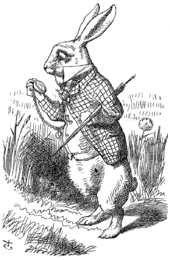 I feel like Alice in Wonderland's proverbial White Rabbit, running off into tangent tunnels of work, chores, lists and gibbering over a watch - the hands of time whizzing by! Richard Stamelman's "Perfume: Joy, Obsession, Scandal and Sin - A cultural history of fragrance from 1750 to the Present"
Its a weighty tome, a mini-coffee table in itself! I have only flicked through some pages, but it's a gem of beautiful images and archive pictures with some fascinating chapters. One for Christmas delving! Next up: The Fruit Hunters, by Adam Leith Golner. Do you know all there is to know about the plants that exist in this world? I am fascinated by the pioneering plant-hunter adventurers who went off into the wilds of the unknown to explore and discover the hidden and the rare. This version of monomania explores the sweet prizes that the fruit world has to offer, from the exotic and medicinal to the commercial. From chasing down and tasting strange fruits, I then spotted this lone copy of 'Nature's Alchemist" by Anna Parkinson, journeying back to 17c to discover John Parkinson, his life-long passion for plants, his legacy and his role as King Charles' 1st herbalist. Finally, I love flower language and symbolism and there is many a book on the "language of flowers'; I remember as a pre-teen being given the 'Victorian Language of Flowers' book, with faux illegible ink writing and pretty paintings. This version, was written to accompany a novel (of the same name) and although the illustrations are somewhat naive and uninspiring, the content is more interesting with details of myth, legend and history accompanying each of the 50 flowers. My bounty came to £35 - I love a find in second-hand and discount bookshops. However, my room Feng Shui is seriously suffering as I have run out of shelf space and now the floor looks like an inviting space for architectural towers of books. Note to self .. must tame book addiction .. (well, after a delivery of Christmas books! ).